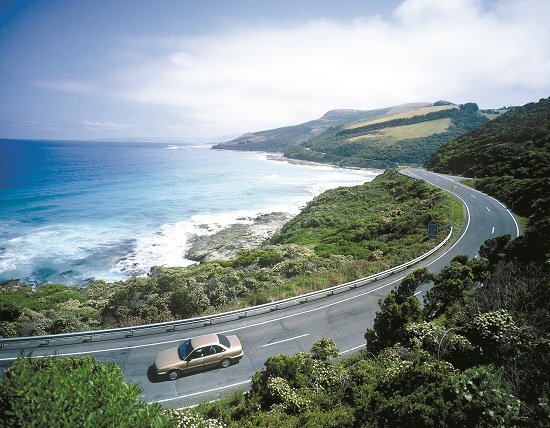 The Great Ocean Road has been voted as one of the world’s best drives by countless publications. Winding roads that hug the beautifully curved coastline of Victoria are a dream come true for anyone who loves to get behind the wheel. And if you’re not the driver, the scenery is sure to keep you entertained; Lush countryside, forests and hills will pass you by on one side and dramatic cliffs, rolling waves and that incredible bright blue ocean on the other. The best way to explore the Great Ocean Road is in your own car or campervan so you can go at your own pace and enjoy the drive. You’ll undoubtedly want to stop as often as possible to take photos and admire the stunning views and these are best enjoyed with just a few people. I travelled along the Great Ocean Road in a campervan that I was driving around Australia in. Leaving from Melbourne, we set off with the windows wound down, our favourite CDs blaring through the speakers and enough snacks and drinks to fuel the epic journey. The first stop for most people travelling from Melbourne will be Bells Beach, one of Australia’s most famous surf beaches. Watch the locals carve up the waves and if you’re lucky enough to be around at Easter you will see the Rip Curl Pro Surfing Competition. If you’re more into land than sea then head to the scenic golf courses, just watch out for the grazing kangaroos! You’ll pass more scenic spots on the way to Lorne where many people choose to spend the night or stop for an extended lunch break. Lorne is a seaside holiday haven with plenty of delicious seafood restaurants, art galleries and boutique shops to pick up a few souvenirs. If you need to stretch your legs after the long drive then take a walk to waterfalls like Erskine Falls in the Otway Ranges. If you’re in a campervan there are plenty of camp sites to spend the night with great facilities. Pick up some fresh fish and cook it on one of the many barbeques with stunning views over the sea. This is the perfect place to watch the sun set and enjoy a bottle of the local wine. Apollo Bay is the next area along the Great Ocean Road waiting to be explored. If you’ve got the time, visit Great Otway National Park with its ancient rainforests and waterfalls. You’ll come to Cape Otway Lighthouse, Australia’s most famous lighthouse. It’s so well-known because it’s been in operation since 1848 and the lighthouse was the first sight of Australia for thousands of immigrants who spent months at sea to reach Australia. 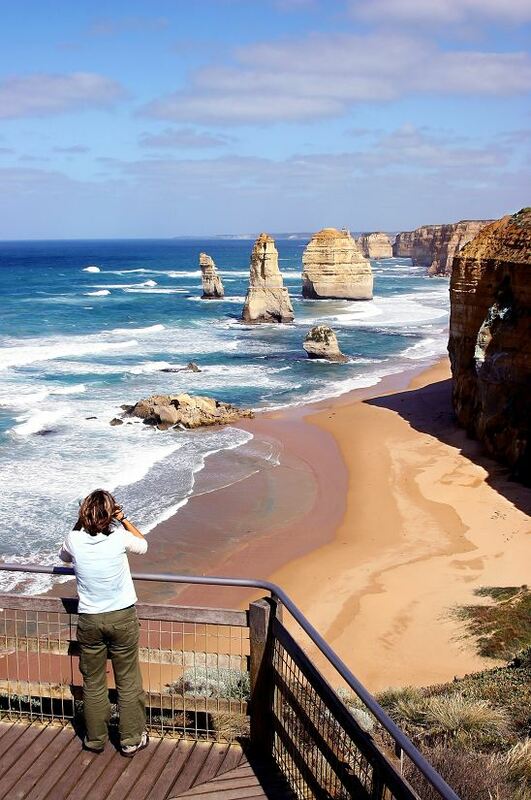 If you can tear yourself away from the beautiful beaches like paradise or Shelly Beaches you will find the famous craggy limestone towers of the Twelve Apostles and can explore London Bridge, Bay of Islands and Loch Ard Gorge. If you’re visiting between May and October, you may be lucky enough to se whales from Logan Beach before you reach the coastal town of Port Fairy. Meander around the whitewashed cottages and visit Australia’s largest fur colony and see dolphins and sharks too. It’s now time to leave the coast and drive towards the Grampians mountain range, well known as one of the most beautiful areas of Australia. You’ll find cascading waterfalls, rugged mountain ranges, incredible rock formations, bush land and diverse wildlife. 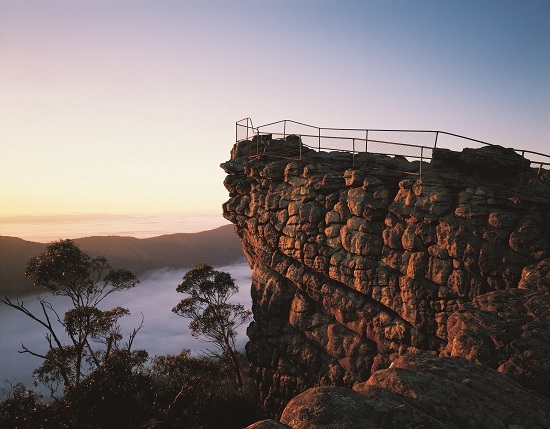 There are many activities for adventure seekers like rock climbing and abseiling and the Grampians are also home to the largest collection of Aboriginal rock paintings in Victoria. 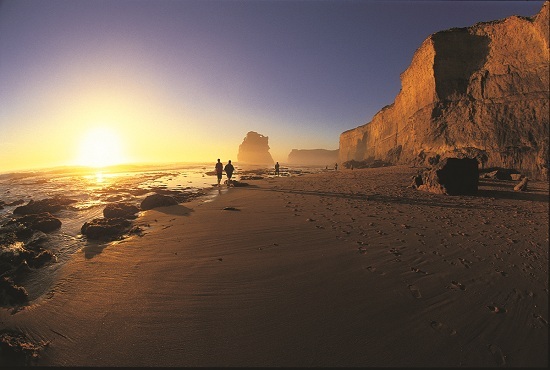 There is so much more to see, do, explore, eat and drink along the Great Ocean Road so take a look at our Victoria by Campervan holiday so you can experience this and much more for yourself.